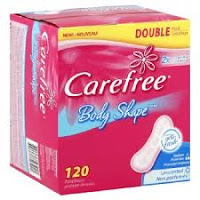 New Carefree Coupon = $0.47 Pantiliners! Print out this new $0.50/1 any Carefree product coupon. The pantiliners frequently go on sale, so you'll be able to score cheap or even free items if your store doubles!